The best choice for Mazda service and repair in Downtown Denver are the auto mechanics at Mancinelli’s Auto Repair Center. Our facility is committed to delivering you the very best in all aspects of auto repair, from the parts we use to the digital inspections we perform. We don’t cut any corners when it comes to your safety, and you can expect to receive a level of care and service that might possibly go unrivaled in Downtown Denver and even beyond. Auto repair can be a hassle, but with us, it doesn’t have to be. We goes that extra mile to ensure your day doesn’t have to come to a complete stop, just because your Mazda may be at a stop in our shop. You can rest and relax in our waiting room or grab a dog treat for your pup and utilize our shuttle service. 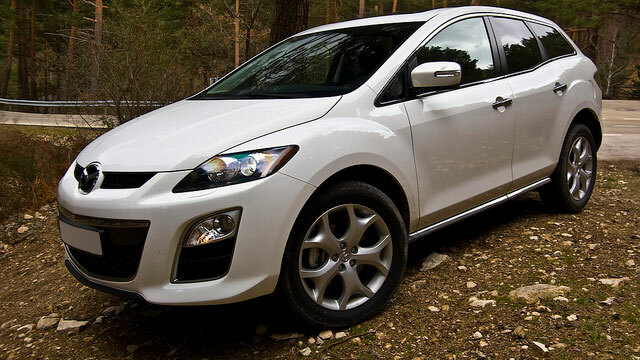 If your Mazda requires extensive service, we can talk about arranging a rental car for you. Just let us know your situation, and we will try our best to make it work. When you arrive at our auto repair shop in Downtown Denver for Mazda service, our auto mechanics will perform a digital inspection, searching for any sign, big or small, of trouble. And when you leave, we will send you off with a safe and reliable vehicle, popcorn, emery boards, post-it notes, and chapstick. With Mancinelli’s Auto Repair Center, it is all about the little things. Please call us, schedule an appointment, or visit us. We’re located at 375 Logan Street, Denver, CO 80203, and are open Monday through Friday, from 7:00 a.m. - 5:00 p.m.